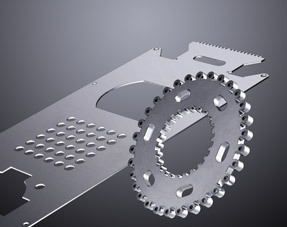 Leeds Laser Cutting provide the highest standards of laser cutting and laser cut parts. Leeds Laser Cutting are one of the UKs market leading sub contract laser cutting companies. Continuous investment in the latest equipment, a 24 hour laser cutting service, competitive pricing and excellent customer care ensure that customers get the best . With our expertise, we can help you with everything from one off items to full scale production and large batches. With the latest Trumpf CNC laser cutting systems, CAD/CAM software and Brightline technology, supported by our dedicated off-line programming department, Leeds Laser Cutting are able to fulfil all your requirements from sheet metals to Acrylics. At Leeds Laser Cutting we offer a 24 hour service to ensure you get the parts required, when you require them. Supported by our expert staff and with a customer-oriented service from start to finish, we guarantee that your products are processed rapidly, cleanly with minimal waste. Our dedicated flat bed truck and driver allows us to offer free delivery without the reliance on couriers. We have over 30 years of experience in laser cutting, and have been at the forefront of technological development, ensuring we invest in the latest technology, and always striving for higher standards of efficiency, speed and quality. Leeds Laser Cutting are dedicated to providing you with an outstanding service for laser cutting and laser cut parts. For all your laser cutting requirements, from prototypes and one-off contracts to a complete production service, contact the experts at Leeds Laser Cutting today. Please call today for all of your sub-contract laser cutting requirements! We can help with drawing, design and reverse engineering, just call and speak to one of our experienced CAD operators.